Europe’s rich cultural heritage is evident throughout its diverse countries, and it's impossible not to be captivated by its magnificent architecture, breathtaking natural scenery and gastronomic delights. Treat yourself to a taste of this fascinating, varied continent this spring, with late departures available on an enticing range of tours. Book between 15th of February and 17th of April 2019 and we’ll treat you to free standard class return UK rail tickets to London from your local station! Get in touch today – you could be discovering Europe before you know it. We’ve got big plans for 2020! Two new worldwide tours are prepped and ready to go, featuring tours to two spectacular and utterly different destinations around the globe. 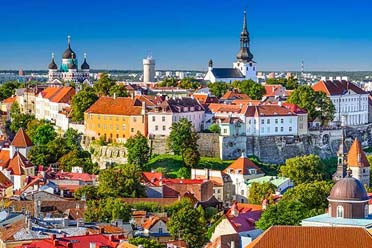 Discover the shining cities of northern Europe on our Helsinki, Tallinn & Riga tour or venture to beautiful mountains and colourful cities on our Discovering India and Nepal holiday – the choice is yours! 2020 departures for both tours benefit from our Early Booking Offer as well, seeing you save up to £100 per person when you book before or on the 31st of May 2019! Asia is a land of incredible contrasts, where neon-lit, futuristic cities juxtapose with the tranquil beauty of its paradisiacal islands and ancient rainforests. Last night, Tony Robinson continued his ‘Around the World by Train’ adventure, heading to Thailand and Malaysia to discover the stunning landscapes, frantic capitals, ornate Buddhist temples and world-class street food for which Asia is famed. Explore this extraordinary continent for yourself in 2020 with Great Rail Journeys, saving up to £200 per person with our fantastic Early Booking Offer! Taking you to more global destinations than ever before, Great Rail Journey’s excellent worldwide collection is full of fascinating excursions and memorable experiences. More than just that though, our Early Booking offer can see you save on selected tours, making it even easier to discover your dream rail holiday. Discover the world, the Great Rail way. 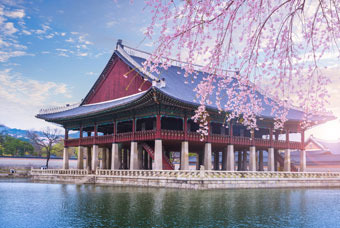 South Korea, also known as the land of the morning calm, is becoming ever more popular with travellers, yet still retains its authentic charm and guarantees many unique and truly memorable experiences - from its ancient temples to its tasty cuisine. 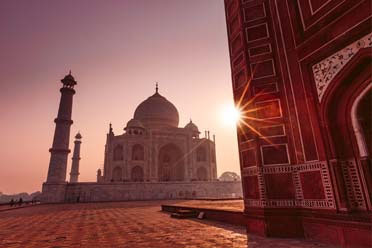 Marvel at historic temples, spot an elusive tiger and visit beautiful palaces and gardens as we explore kaleidoscopic India, taking in Shimla, enigmatic Delhi, the 'Pink City' of Jaipur and Agra with its resplendent marble icon, the Taj Mahal. All aboard the Leger express to holiday heaven! In our Remarkable Rail Journeys range, you can experience the jaw-dropping vistas of the Swiss Alps, the rolling hills of the Scottish Highlands and the dense forests of the Pyrenees from the comfort of a carriage; with a Leger coach to take you everywhere in between. When you book a Rail Journey with Leger, you're always on the right track towards the great railways of Europe . 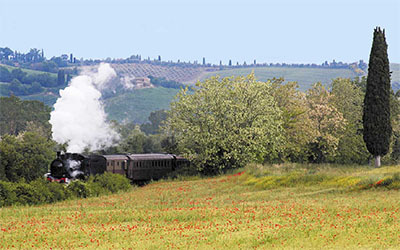 Join us as we explore the picturesque Italian region of Tuscany, where we include a vintage steam train journey through the glorious rolling countryside to the town of Montalcino where we join the locals to celebrate their annual medieval festival, the Sagra del Tordo. We visit an array of spectacular Tuscan towns and cities, from Montepulciano to Assisi and the wonderful Siena, this impressive tour will introduce you to some of Italy’s finest destinations and is one not to be missed. Join us and enjoy the best of the Rhine and Ahr Valleys as we base our stay in the typical Rhineland town of Remagen with its picturesque narrow streets winding to the lovely riverside promenade. Steeped in a rich and fascinating 2000-year history, Remagen has become a haven for artists inspired by the romance of the Rhineland. 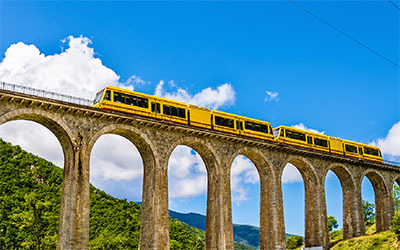 Providing an ideal gateway to explore the wine valleys of the region, this splendid itinerary allows you to explore the popular Rhine and Ahr Valleys, with a combination of rail, boat and coach. Marvel at the spectacular scenery, as vineyards climb steep hillsides, leading to imposing castles which overlook the quaint wine villages as we embark on a fabulous escorted tour. Enjoy exhilarating rail rides, awesome Alpine scenery and traditional Tyrolean hospitality as you explore the very best of Austria. 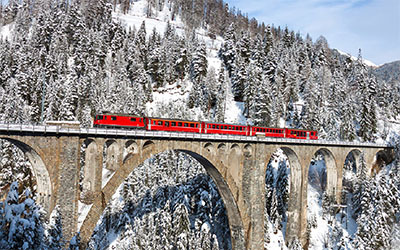 Join us as we journey through the amazing Alps on some of Europe’s most spectacular railways. Experience panoramic views on the Zillertal narrow railway, make an unforgettable rail journey through the mountains on the Pinzgau train and explore the stylish ski town of Kitzbühel. With the opportunity to visit the Tyrolean capital of Innsbruck and see the famous sights such as the Golden Roof, as well as being able to ascend the mighty Schafberg Mountain by cog railway, this best-selling holiday, also includes a 12-day 'Extra Leisure' option. The 12-day tour departing in September coincides with the Almabtrieb Festival in Alpbachtal, to which we will include an excursion. 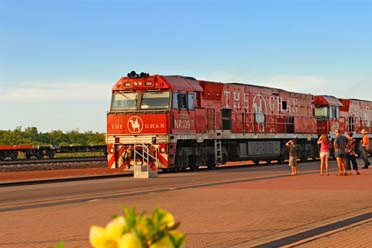 On this wonderful tour, we combine two nostalgic rail rides with a host of cultural delights. Explore Dresden’s historical old town and its host of famous attractions. See the stunning Pillnitz Palace – built to rival the palace of Versailles, it is one of Saxony’s architectural treasures. We witness more amazing architecture as we journey to Moritzburg, where the 15th century Baroque palace stands surrounded by water. 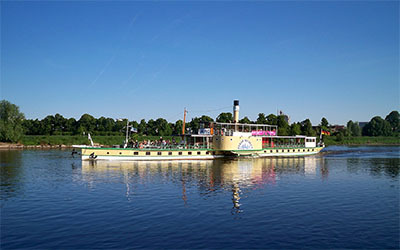 Ride the Weisseritztalbahn train and pass through picturesque valleys and over the bridges of the Ore Mountains, cruise past palaces, vineyards and the famous Blue Wonder suspension bridge on a River Elbe paddle steamer and take the Lobnitzgrundbahn rail, passing vineyards and forests. This wonderful coach holiday is based in the popular resort of Roses, on the Costa Brava, Spain and features a number of rail journeys around the Pyrenees. A highlight on this holiday is the Yellow Train of the Pyrenees, one of the great railway journeys of the world where the track winds through leafy forests, in the Pyrenees. However, you can also enjoy breathtaking scenery as we ride on the Rack Railway up to the Sanctuary of Núria. Plus, you can travel on the Train du pays Cathare et du Fenouillèdes (also known as the Red Train), on a railway which, in some parts, has been in operation since 1901. Experience four countries this Christmas, as we offer you a taste of Austria, Germany, Switzerland and Lichtenstein. To really get you in the festive spirit, we begin on Christmas Eve, with a visit to the fairy tale castles of Bavaria, including the famous Neuschwanstein Castle. On Christmas Day, we cross the border into Switzerland, where we take a journey on the world-famous Swiss Glacier Express and travel through spectacular mountain scenery. We also spend time exploring Vaduz, Liechtenstein’s capital. On Boxing Day, relax in resort, or why not join us as we make a visit to the winter resort of St. Anton and the chic resort of Lech, both in Austria and the perfect way to end your magical Christmas coach holiday. Stunning lakes, picturesque mountains and spectacular rail rides await on the Swiss holiday of a lifetime. Enjoy stunning scenery along the shores of Lake Brienz, and the spectacular mountain backdrop in Lucerne. 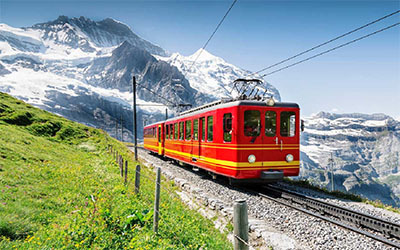 Alongside this, you’ll enjoy some amazing trips by train, including the cogwheel Jungfrau Railway, offering superb views of the legendary north face of the Eiger, the Mönch and Jungfrau mountains, and the Reichenbach Falls Funicular Railway up to see the dramatic falls. You’ll also have the option to ride the famous Swiss Glacier Express on this impressive holiday in Switzerland. Start in Glasgow on this breathtaking holiday to Scotland and experience three spectacular rail journeys, Edinburgh and the Isle of Skye. See Stirling and its distinctive historic ancient town, on the door step of Loch Lomond. In Aviemore, we join the steam railway and witness stunning scenery as we travel through the Spey Valley. From Inverness we appreciate amazing views, as we travel to the iconic Isle of Skye aboard the Kyle Line Railway. We then journey to Fort William, where we board the Jacobite Steam Railway to Mallaig. Our holiday comes to an end in almighty Edinburgh, where you can enjoy time exploring the Scottish capital. You’ll have heard all about them – those spectacular wonders of the world, iconic bucket-list sights to be seen on once-in-a-lifetime adventures. From the misty elevation of Machu Picchu to the crashing waters of Niagara Falls and so much in between, these destinations are timeless, incomparable and simply magnificent. Now, with Great Rail Journeys, we’re proud to offer you the opportunity to experience them for yourself. Take a look below for more information. Brand new destinations for 2019! 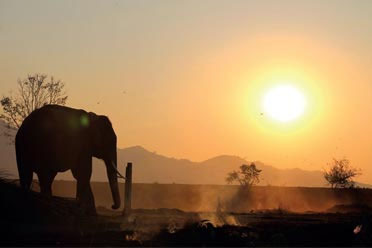 We are proud to include a range of incredible new tours, showing you the wolves of Yellowstone, the amazing Cabot Trail, and the incredible beauty of Java and Bali, we are sure you’ll find somewhere truly incredible to explore in 2019. Discover the rugged eastern coast of Canada on a remarkable tour that combines the dynamic cities of Quebec City and Halifax with captivating coastal scenery in Nova Scotia and experience an exciting whale watching cruise, all on this unique Canadian tour. 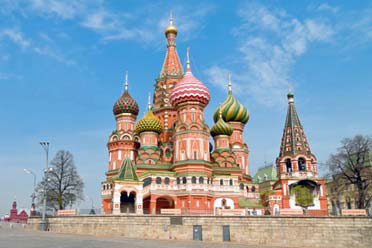 Spend New Year's Day aboard one of the most extravagant trains in the world, the Golden Eagle, go ice fishing for King Crabs, hunt for the Northern Lights and celebrate Russian Christmas in the stylish city of St Petersburg. From smoldering volcanoes and energetic dance performances, to the calm introspection of Buddhist temples and serenity of village life, Java and Bali are two islands with a lot to offer. Whilst our customers often tell us how much they love our holidays just as they are, it's our ambition to grow and evolve and we want to take you to undiscovered destinations, arrange stays at little known hotels and whisk you off on journeys aboard incomparable trains. Sometimes this just isn't possible with our usual sized groups however, so we've been working hard to bring you eight new tours where the group numbers will never top twenty. New for 2019, our exclusive small groups tours allow you to travel to otherwise inaccessible destinations, stay in accommodation that ranges from lofty mountaintop perches to grandiose French châteaux, and enjoy one-of-a kind excursions. Discover the alluring charms of the Loire Valley on a small groups tour to France. Relish an intimate look around one of the region's most historically significant castles, sample distinctive wines from a rising star of the French vintnery scene, & enjoy accommodation in a prestigious 5-Star hotel, which is of course another Château. Enjoy the beauty of the Danube at New Year, seeing in 2019 in elegant Vienna, or discover the incredible mountains of the Matterhorn and Mont Blanc. Want to stay closer to home? Why not explore Shakespearean Stratford, or even the lovely heritage railways of Wales? The home of William Shakespeare awaits on this fabulously festive retreat. Enjoy the history of beautiful Stratford-upon-Avon, and embark on two delightful railway journeys. We're expanding our destinations for 2019! From the Lake District and Cornwall to Tuscany and Poland, Europe is opening up even more just in time for you to start thinking about your adventures next year. Find these tours online - you could discover your perfect destination! Venture through Europe on journeys that will take you to some of the most spectacular sights the continent has to offer. Soak in the sights of stunning Sirmione in Italy, or behold the grandeur of the Imperial Cities breathtaking architecture. Of course, numerous incredibly railway journeys are abound; with exciting adventures taking you through Switzerland, Austria, France, and Germany on some of their most iconic lines. Stunning scenery and spectacular views are enough to take your breath away as we travel by rail through the heart of the Swiss Alps on the world-famous Glacier Express train. 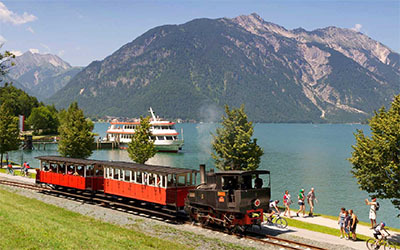 We enjoy thrilling mountain railways, charming towns and dramatic Alpine scenery. Discover two of Germany's most picturesque regions on this fantastic two-centre holiday. 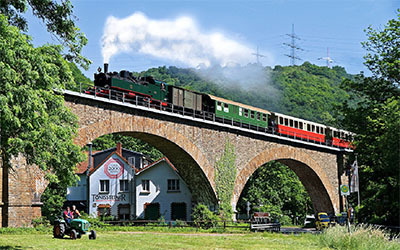 We explore the half timbered villages and stunning peaks of the Harz Mountains by heritage railway before visiting the stunning Rhine Gorge, where the legendary Lorelei Rock still casts its spell. 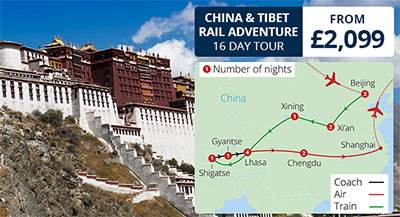 Marvel at the Great Wall of China, Tiananmen Square, Forbidden City & Summer Palace, visit the Dalai Lama's winter residence at the majestic Potala Palace and more. Based on 7th Nov 2019. More dates available. 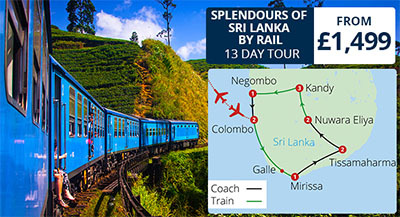 Visit Bazaars & temples on a city tour of Colombo, embark of five scenic rail journeys, meander across a pristine golden crescent of sandy beach to reach Coconut Tree Hill and more. Based on 5th Jun 2020. More dates available. Enjoy fascinating city tours of Beijing, Xi'an & Hanoi, encounter the Giant Pandas of Chengdu at Chengdu Panda Breeding Centre, sail the rippling waters of the Li River and more. 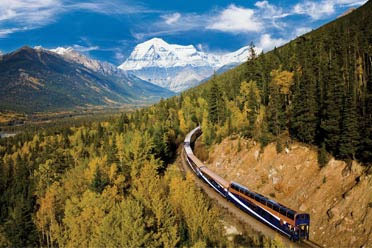 The train holiday is enjoying something of a renaissance; year on year its popularity grows. And with good reason. Rail travel is a fun, relaxing way to see new places, experience new things. 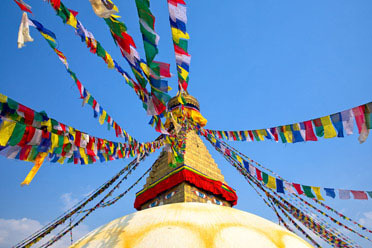 A social, communal holiday that blends guided touring with time to savour for yourself if you so desire. 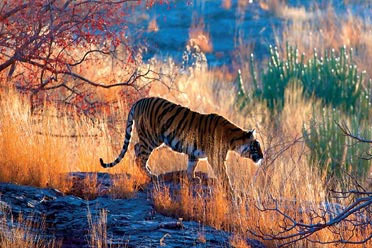 What’s more, train travel represents an environmentally friendly way to see the world. What better way to take in the wonder of a new country, new location, than by relaxing in your seat looking out at the ever changing scenery as the train cuts through the countryside and cities; taking in the mountains, rivers, forests or skylines; to look with wide-eyed wonder at new places, different wildlife, amazing landscapes. Train holidays offer you the chance to explore some of the world’s most breathtaking areas with spectacular scenery that will stay with you for a lifetime. An opportunity to wind your way through Europe, historic cities, the great lakes of Italy or the snow-capped beauty of the Alps or maybe to head further afield, to follow in the footsteps of Casey Jones on the American railroad; from the greenery of the east, the cornfields and the plains of the Midwest, into the Rockies as you head to the warm pacific shores. 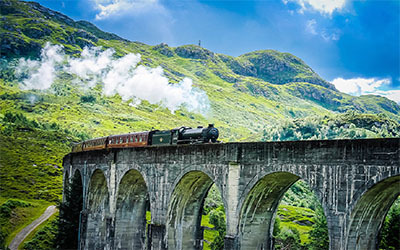 Or perhaps you prefer to explore a little closer to home – check out our wonderful tours through Britain, recreating the style and slow pace of the age of steam as you meander through the beauty of the Yorkshire moors, the Welsh mountains, Scottish Highlands or Lake District. It may be a hark back to older times, but for many, a train holiday represents a new, wonderful experience that will have you craving for more. 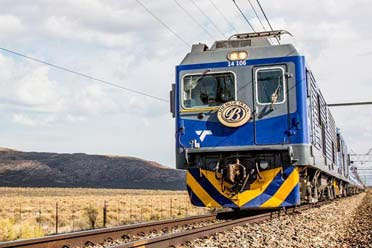 A railtour is a special train which is run in order to allow people to experience rail travel which is not available using timetabled passenger services. The 'unusual' aspect may be the route of the train, the destination, specific sections of railway track (for example, freight-only lines), the locomotive hauling the train, the rolling stock (passenger carriages), or any combination of these. Organisers may own or hire locomotives or rolling stock, or tours may be organised by railway management or other bodies outside the railway fraternity. Perhaps the most famous railtour in England was the Fifteen Guinea Special, the last steam hauled main line train run by British Railways.